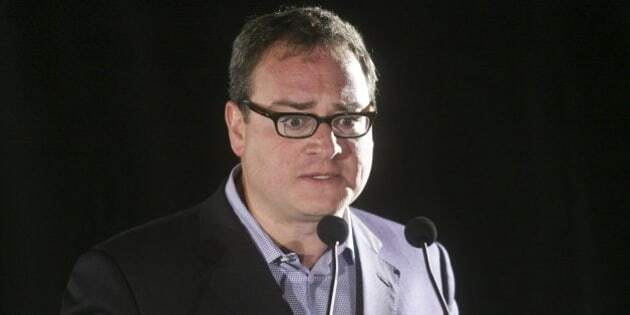 Ezra Levant makes his living saying things most people would never say. Now he's going to have to pay for it. On Thursday, Ontario Superior Court Judge Wendy Matheson ruled that Levant libelled former law student Khurrum Awan and must pay him $80,000 in damages, according to National Post reporter Joseph Brean. Awan had sought $100,000 in damages. Levant must also remove the defamatory blog posts on his website that led to the lawsuit. In the posts, Levant wrote about Awan's testimony at a British Columbia Human Rights Tribunal case about a complaint over an article in Maclean's magazine from 2006, titled "The future belongs to Islam.'' The piece was excerpted from Mark Steyn's book "America Alone". Awan was a law student when the article was published and was part of a group of students who alleged the article was Islamophobic. Today Awan is a lawyer in Saskatchewan. Levant's blog posts labelled Awan a jihadist and a liar, Awan's lawyer said. At the time this story was published, Levant's website listed 75 articles containing Awan's name. Levant has been an outspoken critic of human rights tribunals and of the Canadian Islamic Congress (CIC). Awan once served as the youth president of the congress. Judge Matheson said Levant's "... dominant motive in these blog posts was ill-will, and that his repeated failure to take even basic steps to check his facts showed a reckless disregard for the truth," according to the Post's Brean. Awan's lawyer, Brian Shiller, told The Huffington Post Canada that his client is "delighted that the court has ruled in his favour and restored his reputation." Levant told HuffPost Canada he will appeal the decision. The Sun host said he takes issue with the judge's ruling that calling Awam an "anti-Semite" was defamatory, alleging that the CIC is an anti-Semitic group. "This is a shocking case of libel chill that should concern any Canadian who is worried about radical Islam, and the right to call out anti-Semitism in the public square," Levant said. "If this judgment stands, anyone who dares to challenge members of Muslim extremist groups on the basis of their affiliation with such groups is at risk of costly lawsuits." The Sun News host and his lawyer, Iain MacKinnon, had pursued a defence based on "fair comment." For such a defence to succeed, MacKinnon would have had to establish that Levant's statements were a matter of public interest, based on facts, recognizable as commentary and reflect an opinion that a reasonable person might hold. Thursday did not mark the first time Levant has lost a libel suit. In 2010, he was ordered to pay $25,000 to Human Rights Commission lawyer Giacomo Vigna. Levant had accused Vigna of lying to the tribunal, tampering with evidence and alleged that he had been fired. Levant was later also ordered to pay Vigna more than $32,500 in legal costs. Levant faced the threat of a libel suit from prominent investor George Soros in 2010 after alleging in a Sun Media column that the billionaire had collaborated with the Nazis. Sun later issued and apology and retracted the story. Last year, the Canadian Broadcast Standards Council ruled that Levant had violated its ethics code during a segment in which he described the Roma people as belonging to "a culture synonymous with swindlers." Levant apologized for his comments before the ruling. Levant said he will be footing the cost of his current legal bills himself. "If anyone is interested in helping me to pay for an appeal, I would invite them to visit www.StandWithEzra.ca," Levant wrote in an email to HuffPost Canada. The Sun host has recently turned to online donations for various projects, including a website dedicated to attacking Liberal Leader Justin Trudeau. A PayPal button is featured prominently on his website, encouraging users to "Support Ezra & help the fight for freedom of speech."